Grab your board and check your bearings, because street skating sim Session lands on Kickstarter today, as developers creā-ture Studios push for CAD $80,000 in funding over the next 30 days. With an original control scheme and a focus on creative expression over scoring, creā-ture Studios is determined to create the most authentic skateboarding game ever. Using two sticks to control each foot independently, Session mimics the movements of skaters’ feet, resulting in controls that emulate the satisfaction of nailing tricks IRL. And just like real life, you won’t see any arbitrary point values that try to dictate your style. As Session evolves, creā-ture wants to make the act of sharing an integral part of the Session experience. From expanded filming tools to film your friends (holla holla online multiplayer! ), to park creation tools and Steam Workshop support, the city should be a blank canvas to its skaters. 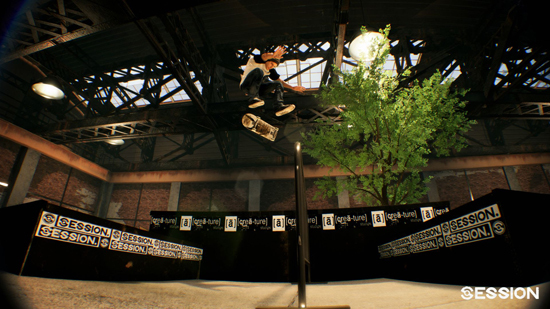 Couple this with character and board customization, additional community-voted cities to explore, and a story mode to tie everything together like a nice set of trucks, and Session is set to be a skateboarder’s dream game. Heck, in true DIY form, the community’s already started putting together their own skate tapes, absolutely tearing up the demo park before formal video creation tools were even available. Want to try it out for yourself? The demo’s available right now, right here. Whether you know what it feels like to hit a hardflip down a set of stairs, or grew up playing arcadey skateboarding games, it’s hard to deny the raw joy this sport represents. Session’s Kickstarter is available now and the game is planned to have an Early Access release on PC and Xbox One in Q2 2018.